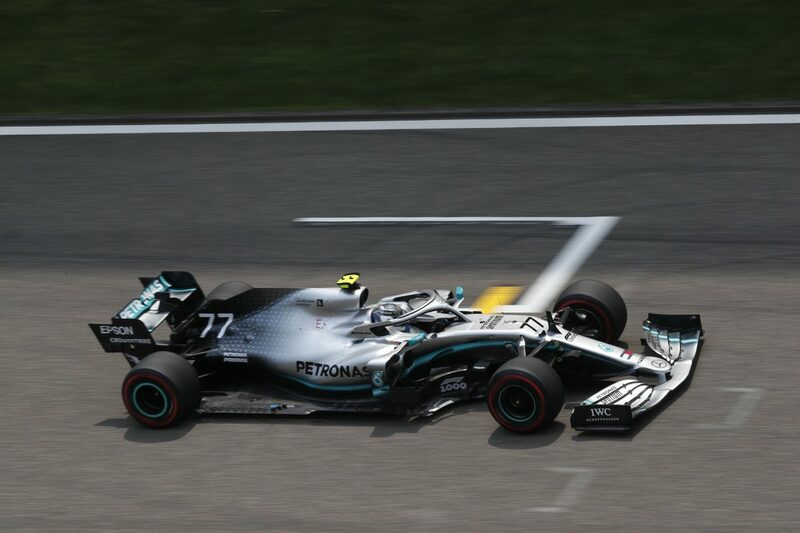 Valtteri Bottas edged Mercedes team-mate Lewis Hamilton to pole while Daniel Ricciardo made the top 10 in qualifying for the Chinese Grand Prix. The Finn led throughout Qualifying 3 session, improving on his final flying lap with Hamilton locking down second place at 0.023s adrift. Ferrari’s Sebastian Vettel out-qualified his teammate Charles Leclerc on the second row while the Red Bull Racing duo of Max Verstappen and Pierre Gasly fill positions fifth and sixth respectively. Ricciardo, who won the Shanghai race last year, appeared in his first Q3 session for Renault. The 29-year-old struggled on his first lap in the final qualifying segment but recovered well on his second run and outqualified team-mate Nico Hulkenberg by just 0.004s. They line up for tomorrow’s race in seventh and eighth position. The Haas duo made Q3 but both failed to set a time due to tyre temperature issues which have plagued team throughout the weekend, leaving Kevin Magnussen ninth and Romain Grosjean 10th on the grid. Bottas had continued his form from the second and third practice sessions by topping the times in Q1, as Leclerc was forced to go out again on a new set of soft tyres after the Monegasque was caught up in traffic after his first flying lap. Hamilton then topped the middle segment with both Mercedes, both Ferraris, and Verstappen appearing in Q2 with the medium tyres attached, and therefore starting tomorrow’s race on that compound. Toro Rosso’s only representaive in qualifying, Daniil Kvyat, was 11th, from Racing Point’s Sergio Perez and Alfa Romeo’s Kimi Räikkönen. The biggest surprise out of the session was that McLaren did not have a car in the top 10 for the first time in 2019 with Carlos Sainz and Lando Norris 14th and 15th respectively. Lance Stroll endured his seventh straight elimination from Q3. The Canadian will start ahead of the Williams duo with Formula 2 champion George Russell starting ahead of Robert Kubica. Antonio Gioviniazzi and Alexander Albon will start tomorrow’s race from the last row of the grid. The former experienced a suspected power unit issue in his Alfa Romeo, leaving him stuck in his garage without a time set.